Hear 'n Aid was a joint effort from the heavy metal scene of the 80s to raise money for famine relief in Africa. When attending a 48 hours charity "Radiothon" at the radio station KLOS, Jimmy Bain (of Rainbow and Dio) and Vivian Campbell (at that time still in Dio, later to play in Whitesnake and Def Leppard) noticed that the representation of heavy metal stars was scarce. In the light of the success of Band Aid's "Do They Know It's Christmas?" and USA for Africa's "We Are The World" they forwarded the idea to Dio, also attending the Radiothon, and they decided to make a similar project exclusively built on artists from the heavy metal scene. Together the three cowrote the song Stars. 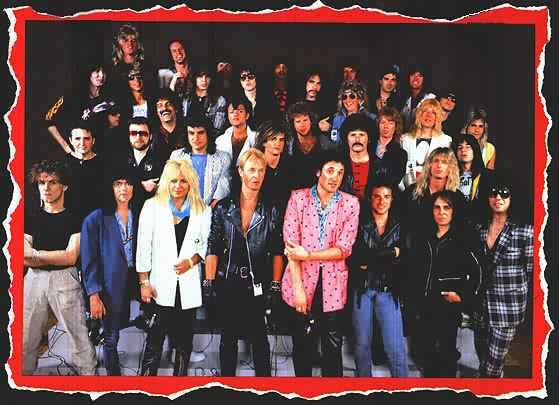 On May 20 & 21, 1985, 40 artists gathered at the A&M Records Studio in Hollywood, California to record the Stars album. 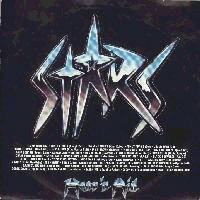 The project included members of such bands as Dio, Quiet Riot, Iron Maiden, Mötley Crüe, Twisted Sister, Queensrÿche, Blue Öyster Cult, Dokken, Night Ranger, Judas Priest, W.A.S.P., Journey, Y&T, Vanilla Fudge, and the parody band Spinal Tap.